Cape-Canaveral.co.uk is part of the usrentacar.co.uk® group who provide car rental services throughout the USA via their car hire partners and affiliates. To read the latest up to date terms and conditions that will apply to your rental please follow the link below. Loss Damage Waiver (LDW) which is a combination insurance of both Collision Damage Waiver (CDW) and Theft Waiver. As long as you adhere to the rental policy of the supplier you will not be held responsible for the cost of replacement or repair to your hire vehicle. Uninsured Motorist Protection (UMP) up to $1m Liability Cover. Offers an Uninsured/Underinsured/Hit-and-Run Motorist Protection (UMP) that provides the renter and family members traveling together in the rented vehicle with up to $1,000,000 of non-stacked coverage for bodily injury sustained while driving the rental car, and caused by another driver who has no insurance, minimal insurance, or is a hit-and-run driver. Supplemental Liability Insurance (SLI) up to $1m Liability Cover. All drivers included on the rental agreement will not be held liable for third party claims for bodily injury or property damage resulting from an accident. In addition to the items above U.S. Rent A Car has negotiated the following features with individual suppliers all of which are included within the Fully Inclusive rate. 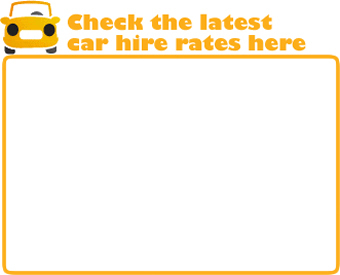 * Budget only include 1 additional driver free of charge within their fully inclusive rate. Alamo Gold covers up to three additional drivers. Budget Gold covers all additional drivers.